Academies: autonomy or asset stripping? This only shows her ignorance and unsuitability for the job. As the NUT have pointed out to her, every school in England has managed its own budget and recruited and selected its own staff for nearly a quarter of a century. 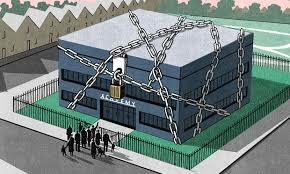 In fact, the only schools that don’t do that now are academies that belong to chains. The 1988 Education Reform Act delegated management to headteachers, including school budgets and staff appointments. This is not entirely without problems; for example, if expensive building repairs or staff illness cause an overspend, schools might struggle to pay it back. But it is autonomy. The irony is that academies which belong to a chain (a ‘Multi Academy Trust’ or MAT) do not have those powers. The powers belong to those who run the chain, who are often remote from the school. Chain are normally run by several ‘members’ overseeing a board of trustees or directors. The Chief Executive and members have widespread powers, including overriding and dismissing heads and governors. In fact, the Government’s new White Paper says trusts can dispense with school governing bodies altogether, and one very large chain E-ACT has already done so. There is no democratic control or election from below, so the members and trustees can be self-perpetuating and discourage dissension and challenge. The White Paper is replacing localism, democratic accountability and transparency with centralised and often distant control and governance. There is little public accountability, though they are answerable to (unelected) regional commissioners. Many trusts are dominated by business people, not educators. Unlike local authority schools, the White Paper doesn’t even require academy trusts or governing bodies to include parent representatives elected by other parents. Control is top-down. 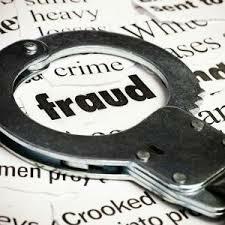 This lack of local accountability has led to dubious financial practices. As the Chief Inspector Michael Wilshaw pointed out in his letter to Nicky Morgan, following inspection of 7 trusts: “The average pay of the chief executives is higher than the Prime Minister’s salary.” In fact, the highest salary is now nearly £400,000. Questions in Parliament have revealed that nearly 40% of England’s 2900 academies have made payments to organisations with family ties to their directors or trustees. AET paid over £500,000 to private businesses owned by its trustees and executives. The company secretary received £232,960 in addition to his undisclosed salary for ‘project management services’. 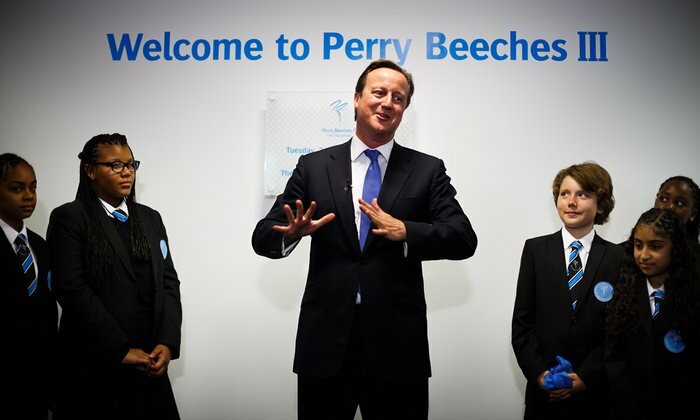 Perry Beeches’ chief executive paid himself a second salary routed through another organisation, and investigators found £1.3m had been paid without contracts to a third-party supplier. It makes a mockery of ‘autonomy’ when money is extracted from school budgets to line the pockets of managers and executives. There are big question marks over this. The White Paper is proposing to transfer ownership of school land and buildings from democratically accountable local authorities to the Secretary of State for Education, who would then lease them to academy trusts. Leases generally last 125 years, but the Secretary of State can give permission for an academy trust to sell land at any time. A future Secretary of State could easily change all the leaseholds to freehold. The current value of land and buildings held by academy trusts is over £31 billion. It will be much higher if all schools become academies. School land and buildings are a unique community asset which should remain under local democratic control. Handing over public property like this, whether leasehold or freehold, is asset stripping on a scale that beggars belief. What really matters is professional autonomy. There is precious little of this, in academies or local authority schools, while the curriculum is dominated by high-stakes tests and accountability data disconnected from the needs of the child. This entry was posted in Governance, Uncategorized and tagged academies, free schools, local authority, local democracy, politicians, privatisation. Bookmark the permalink.